Money Mark claims to be dissin’ HallowTip with so much fire that it “brands” him, a double entendre for being marked like cattle or given a “mark”, like Guchi or Fendi, in the fashion world. By coincidence, Money would make mention of Fendi later in the round. However, it’s clear that Mark is continuing his NBA scheme, tossing up shots and hanging HallowTip from the highest pole of an “L.A. Clipper” (a ship). He then cuts HallowTip up and uses wordplay to scatter his pieces from Boston to the Austin Rivers. 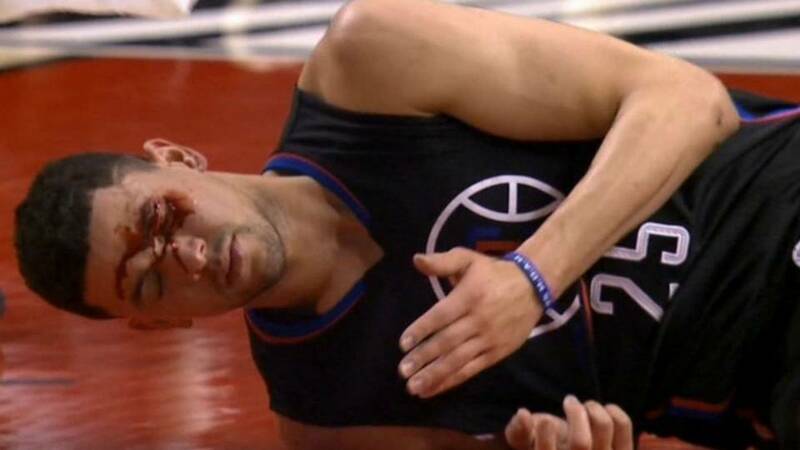 Until getting traded to the Wizards in mid-2018, Austin Rivers was a guard for the L.A. Clippers. Rivers is particularly known for his ball handling and cutting ability. He is also known for having sustained a nasty cut during Game 6 of the 2016 NBA Finals against the Portland Trailblazers, completing a double entendre that was likely missed by most.